Yurts in the dirt are cool and all, but what about having breakfast with the birds? 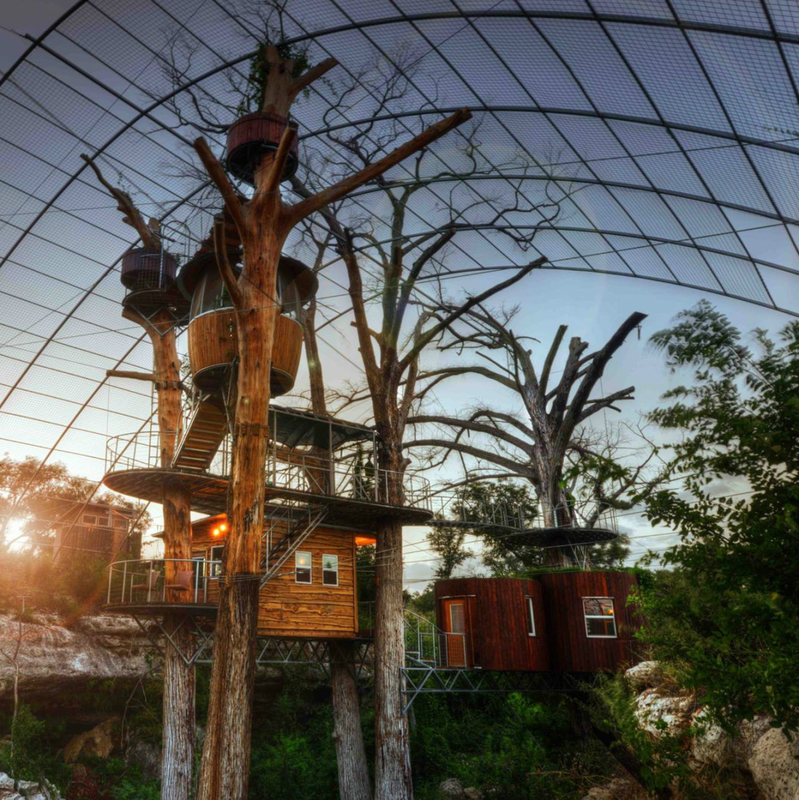 Pack your bags for a night in one of these Texas treehouses. 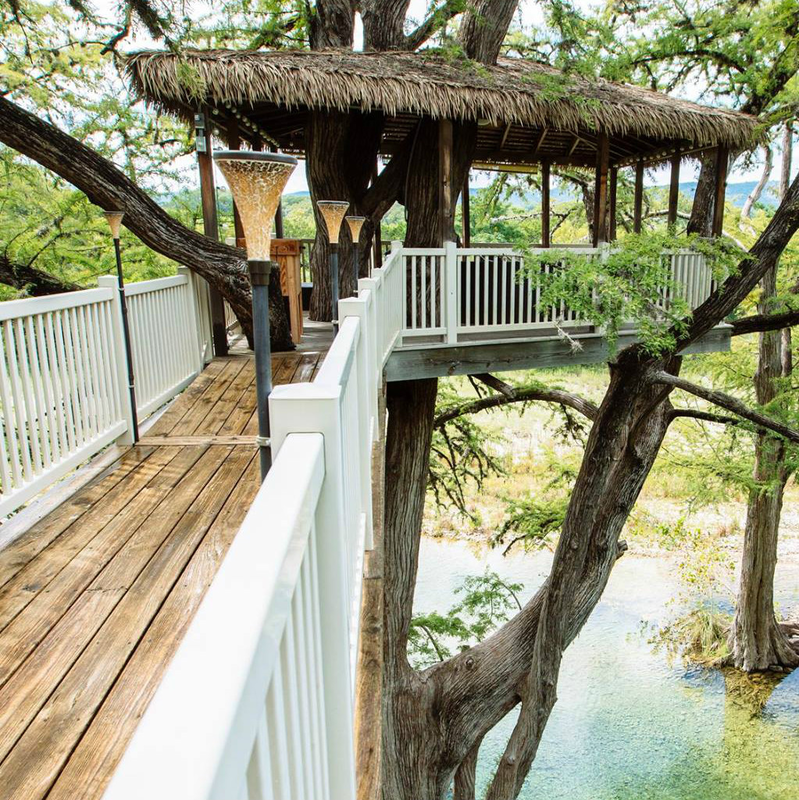 From a treehouse built around a 100-year-old cypress tree just outside of Austin to a spa treehouse featured on the Animal Planet series Treehouse Masters, these spots take glamping to new heights. 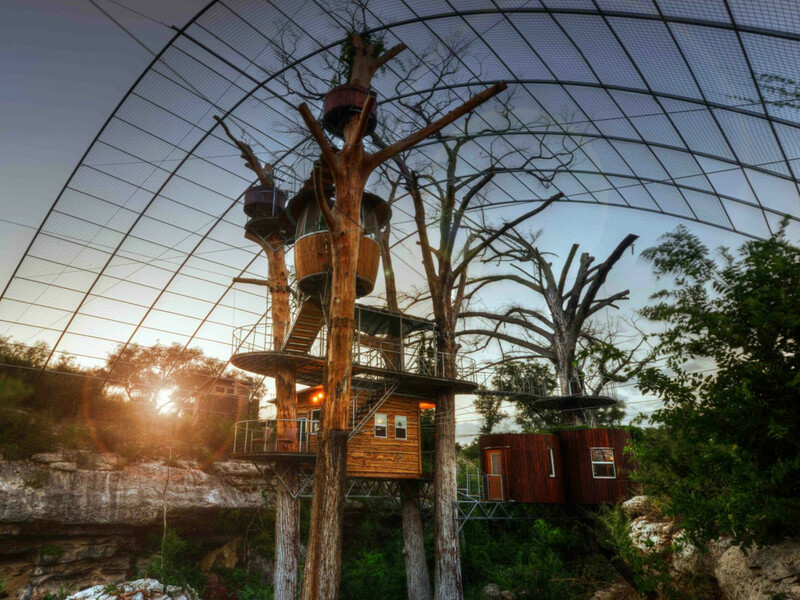 Those looking for a touch of Austin’s quirkiness should definitely check out this “treehouse.” Not a traditional one, because it’s not suspended in the trees, it’s a little oasis completely surrounded by trees with views of a magical backyard in the popular Travis Heights neighborhood. 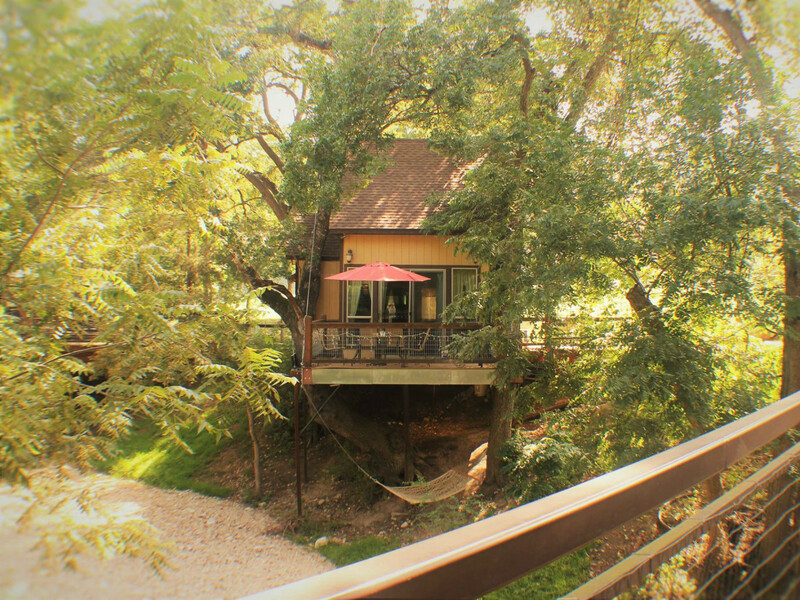 Close to South Congress Avenue, Casita Roja has an artistic feel to it and is a much cooler option than a traditional hotel stay. 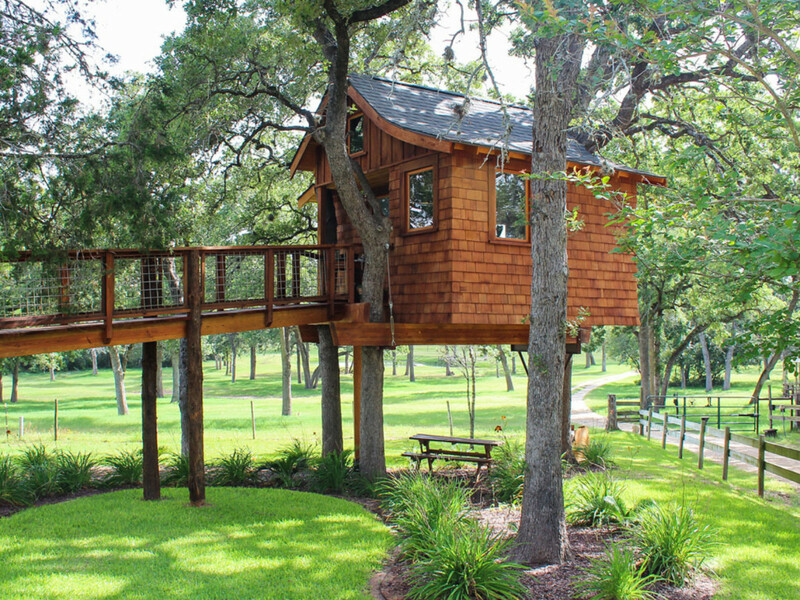 Featured on Animal Planet’s Treehouse Masters the Treehouse Spa Room is a custom-built treehouse on the 40-acre Davis Ranch Retreat. 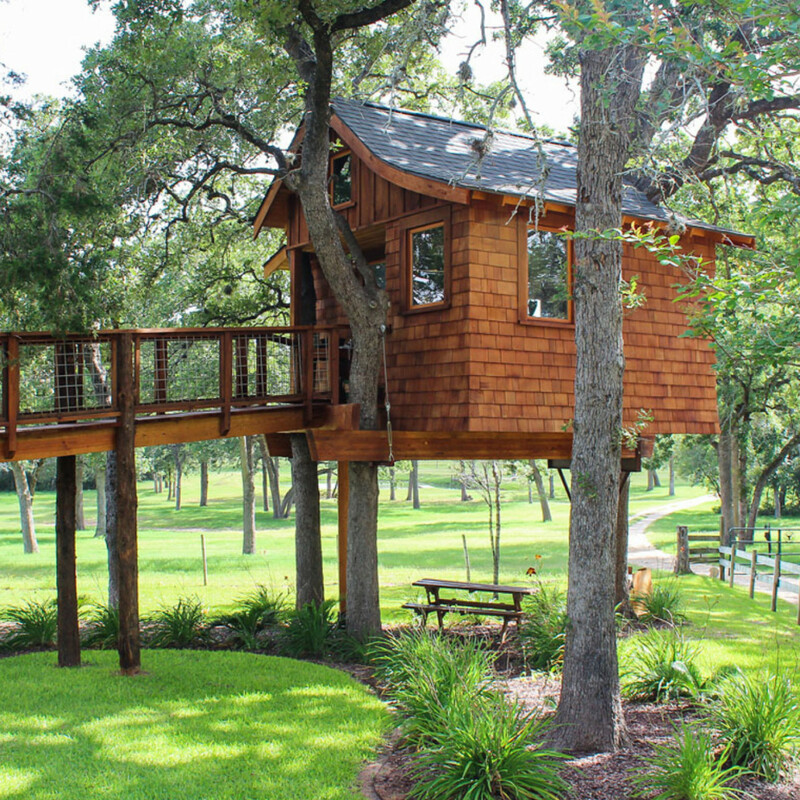 The tiny treehouse goes from a relaxing spa to your home for the night, complete with a queen-sized bed, steam shower, and a private porch. While the house is quite small, you do have the entire ranch to enjoy, including the pool and fire pit at the base of the footbridge, ponds filled with fish, and trails. Ride around in the "Green Machine" (think super quiet golf cart), stopping to visit with cows and horses, butterflies and birds, flowers, and even the Texas Longhorns. At night, sit around the fire and gaze at the star-filled sky while you master the art of making s’mores. 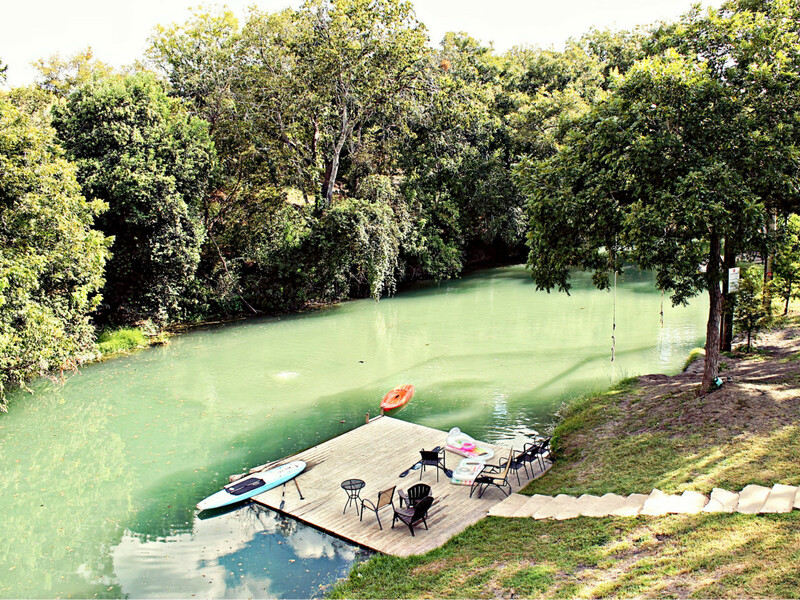 This ranch is literally a slice of heaven and only an hour from Austin. Hung 30-feet high in the trees over a private spring-fed creek near Columbus, about 75 miles west of Houston, you’ll be hard-pressed to find another place like this. Expected to be completed by the end of summer, the trees almost completely engulf the top of the treehouse, and while you can easily see down the creek and across the fields, it is almost impossible to see into the structure itself. 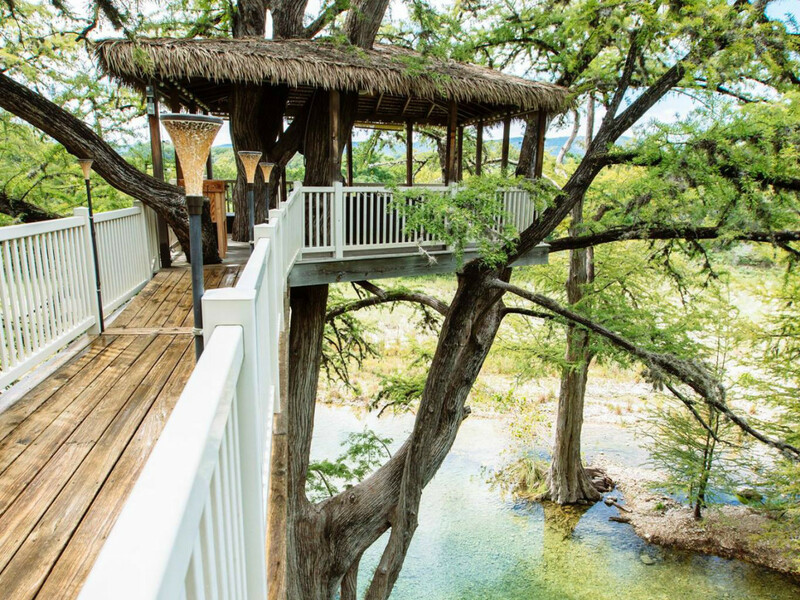 Inspired by his love of nature, Matt, owner and star of Discovery Channel’s show Fire in the Hole, is creating this treehouse and campsite as a labor of love to share his unique adventures with guests. From the wood-fired hot tub to the pizza oven and fire pit (yes, you can actually have a fire here), this place is all about slowing down and living in the moment. 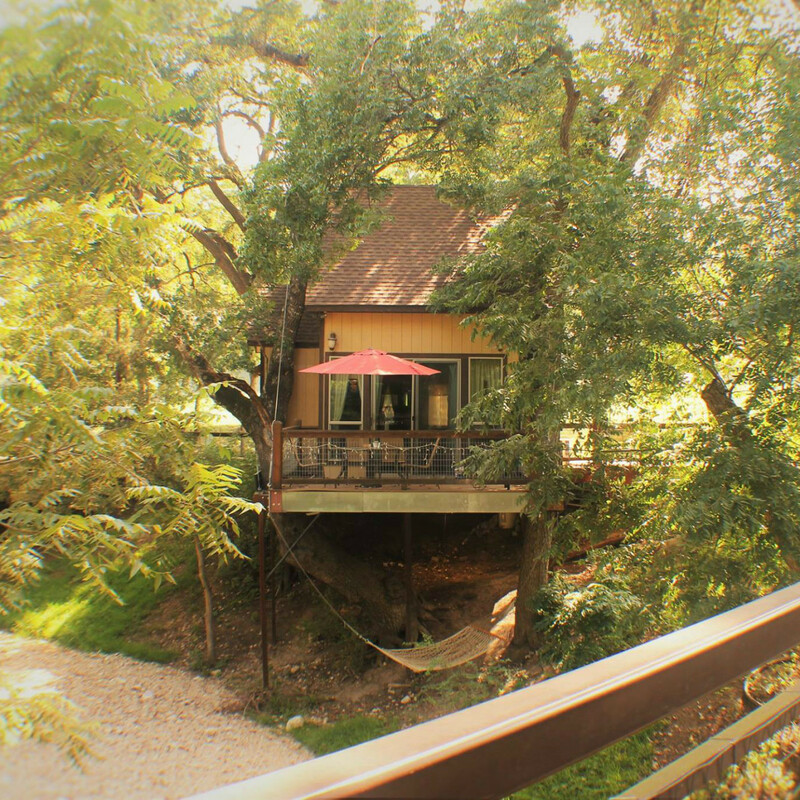 It also offers private access to the river, complimentary kayaks, tons of shade, room to explore, and one of the only treehouses in Texas that is dog-friendly. 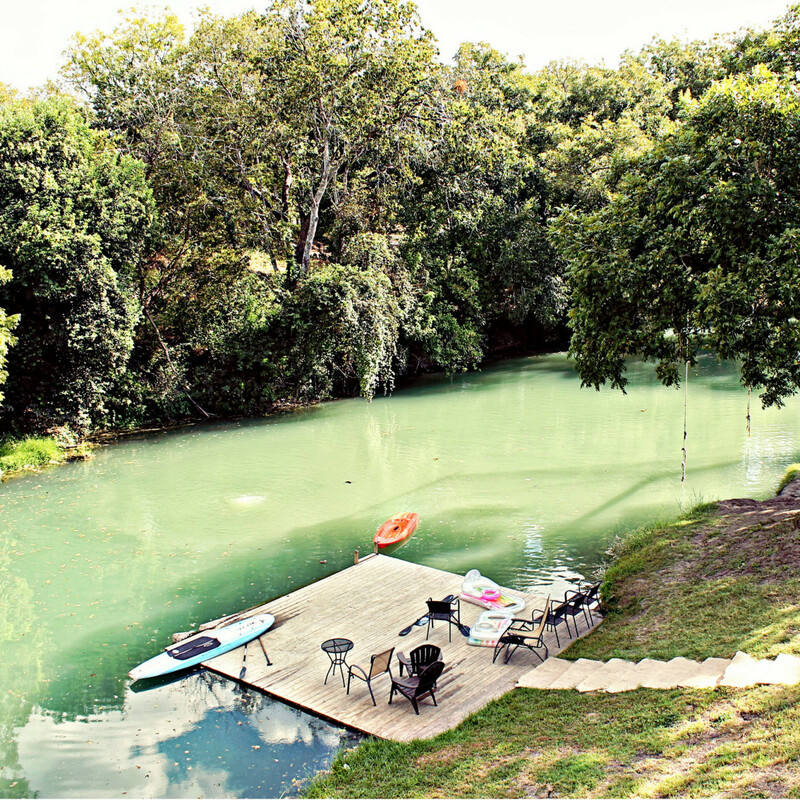 Come here to recharge, enjoy nature, and get back to a slower pace of life.